'Hurry up! Don't wait for the stork,' one promotional image read. A campaign by Italy's health ministry to combat the country's falling birth rate has backfired after it released a series of promotional images that caused anger. Italy's first "Fertility Day" is set to take place on 22 September, with a number of events highlighting family planning in Rome, Catania, Bologna and Padova. The initiative was announced by Health Minister Beatrice Lorenzin and promoted through a series of images bearing various slogans. They include a picture of a woman holding her belly and a sand timer with the words "beauty knows no age. Fertility does," in a not-so-subtle allusion to the biological clock. Another showed baby shoes with a ribbon in the colours of the Italian flag wrapped around them. It says: "The constitution [sic] protects conscious and responsible procreation." Others urged people not to wait for the stork and claimed that fertility is a "common good". The topic soon began to trend on Twitter, with users mocking the initiative with the hashtag #FertilityDay. Twitter user Giuditta Fontana posted: "They complain about #burkinis and then come up with a #fertilityday - when will they stop telling us how to cover/use/protect our bodies?" Another branded the initiative "offensive, sexist and dangerous". Unemployment among 15 to 24-year-olds in Italy hit 40.3% in 2015 and many people pointed out the irony in encouraging young people to have dependents when they are in financial difficulties. Along with the images, the government also created a website and game as part of the campaign. The game has since been taken offline and most the content has been removed from the website, apart from a landing page. Writer and radio host Giulia Blasi deplored the move and accused the health ministry of "promoting a campaign that treats all women as little more than walking incubators." Writing on Medium, Blasi said: "What this campaign hides is the complete inability of the government to tackle the declining birth rate and subsequent decrease of cash flow towards the country's already severely depleted public welfare. "If women choose not to have children – for personal or financial reasons, or both – who is going to pay the insane amount of taxes required to keep the system working? Not the children of immigrants, who are not awarded automatic citizenship even if born and raised on Italian soil." In May, Lorenzin described an "apocalyptic" decline in Italy's birth rate. "If we carry on as we are and fail to reverse the trend, there will be fewer than 350,000 births a year in 10 years' time, 40% less than in 2010 – an apocalypse," she said. "In five years we have lost more than 66,000 births (per year)... If we link this to the increasing number of old and chronically ill people, we have a picture of a moribund country." 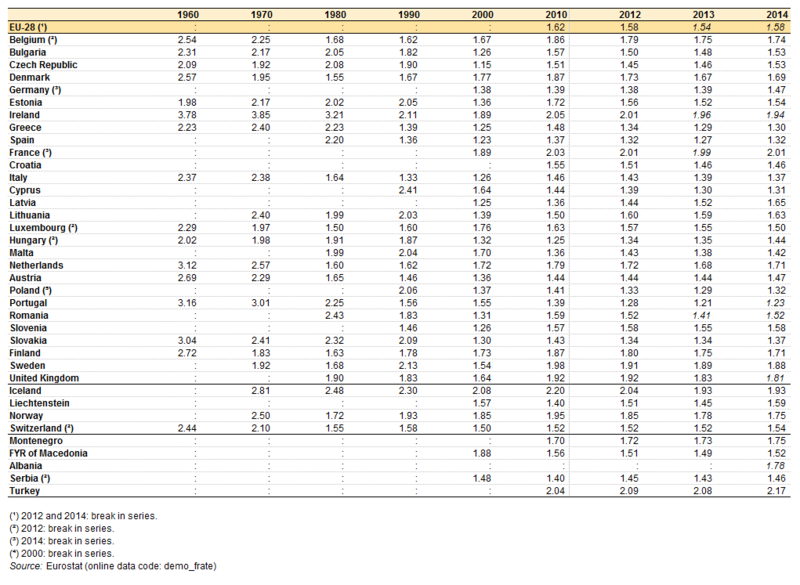 Italy has one of the lowest birth rates in Europe. According to European Union (EU) statistics, France reported the highest fertility rate in 2014 with 2.01 live births per woman compared to Italy's 1.37. The average among EU Member States was 1.58.